You know that look of wonder and joy that children get on their face when they listen to someone read them a story? Schools across the nation are bringing in volunteers to spark children in this very way. If you are a parent looking to get more involved in your child's school or simply enjoy time with children, being a reading volunteer can be a great way to help support the upcoming generation of readers. Read on to find out more about what reading volunteers do and how you can become one yourself. Reading volunteers work with elementary school-age children to promote reading. They may read books to children, listen to children read aloud, or distribute books to school children. Reading volunteers promote the activity of reading, rather than focusing on teaching reading skills. Reading volunteers may read to a whole class of children, to a small group, or be assigned a child to read to one-on-one. Reading volunteers may work with programs offered by schools, after-school programs, or public libraries. The time reading volunteers spend with new readers provides encouragement while learning to read. Learning a new skill takes time and patience. Having support from someone else can help keep a child's interest strong while learning to read. Almost anyone who knows how to read can be a reading volunteer. High school students, college students, parents, grandparents, military service members, and police officers are just a sample of the kinds of people who become reading volunteers. Being able to read and a desire to spend time inspiring children to read are the only skills needed to be a successful reading volunteer. Many programs and schools require volunteers to pass a basic safety background check as well. These positions often require very little outside preparation time while utilizing the common skill of being able to read out loud. Volunteers range from high school student who are looking to complete community service project hours, working parents who enjoy the time with children, and even grandparents who would like to support their local schools. There are a variety of different programs offered by different communities. Generally, there is a short one-time training session and then the volunteer will meet with children once a week for up to an hour. The short amount of time each week can provide an easy opportunity to volunteer for busy individuals with regular schedules. Volunteer reading programs work best when the children get to know the volunteer reader. While the commitment each week is small, it is usually best if volunteer readers can commit to a complete time period such as an entire school year or a full summer program. 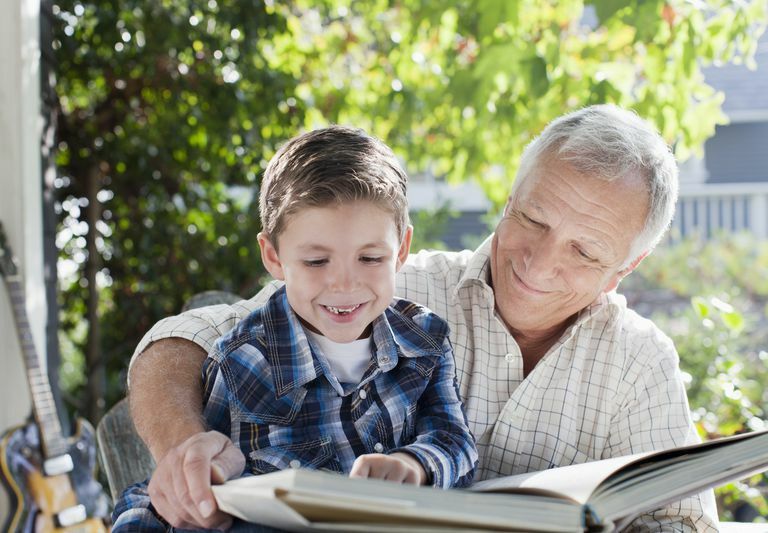 Several educational research studies support the idea that the children who are involved in programs with adult reading volunteers improve with their school success. In 1998, researcher Sara Rimm-Kaufmann found that first graders involved in a program with an adult reading volunteer three times a week had better letter recognition and reading skills than similar first graders who had not been involved in such groups. Other studies since that time have also shown adult reading volunteer programs to support early readers. A 2006 study by Brian Volkmann showed that children who were read to by adult volunteers had improved school attendance, which is a major predictor of high school graduation rates. In 2000, the Eugene Research Institute found that fifth graders who had been in "SMART," an adult volunteer literacy program, were 60% more likely to have grade-level scores in reading on standardized tests. The program has continued to show results, with results from voluntary surveys showing a wide range of reading improvement. Community members who volunteer in schools may reap a host of benefits that range from expanding their personal networks to adding valuable skills to their resumes. Reading volunteers also enjoy the special time they get to spend with young children. Many volunteers have heart-warming stories to share about the children they read to. The volunteers know that they are inspiring young children with a proved educational strategy. While reading programs are common throughout communities all across the US, what organization manages the programs will differ in various communities. The two most common places where there are reading partner programs are public elementary schools and public libraries. Your local United Way may also know of a volunteer reading program. Contact these places to see if they have a program or if they can connect you with a reading program in your community. The best times to sign up are at the beginning of the school year, or the beginning of the summer. If there isn't a volunteer reading program in your community, feel free to let local schools, teachers, or librarians know that you are interested in volunteering in this way. It isn't always necessary to volunteer through an established program. Reading is an important skill that is critical to school success. Volunteer readers demonstrate that reading can be fun and enjoyable. By reading aloud to a child, you show them what reading is like. By taking your time to volunteer, you are showing with your actions how important it is for everyone to learn to read. Baker, Scott, Russell Gersten, and Thomas Keating. "When Less May Be More: A 2-Year Longitudinal Evaluation of a Volunteer Tutoring Program Requiring Minimal Training." Reading Research Quarterly 35.4 (2000): 494-519. Web. "SMART's proven model has positive program outcomes on reading." Start Making A Reader Today. SMART, Web.